Meanwhile, local carrier SMART let its customers to take the pre-order for the Samsung Galaxy Note 4. They will get the Note 4 for Free under Plan 3500, Plan 5000 and Plan 8000. 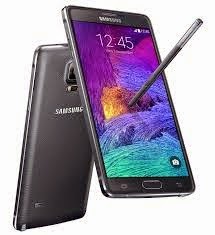 The Samsung Galaxy Note 4 will be available starting October 25 at all Samsung stores nationwide.